Noblesville Indiana's South Harbour community is a dog walking, family friendly neighborhood located on the southwest shore of beautiful Morse Reservoir. South Harbour features spectacular Noblesville waterfront homes, as well as more modest properties. There is a 4 star elementary school in the neighborhood, and South Harbour is convenient to Clay Terrace, Hamilton Town Center, and downtown Noblesville. You'll find the newest South Harbour real estate listings below. 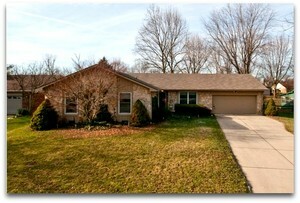 For more information on these Noblesville homes or any others, please contact us! Learn more about living in Noblesville, Indiana.